Our long winter is over. How do I know? Because Phillies baseball season has begun. As I look forward to the warmer weather and the joy of watching a game or two, I started thinking about how much baseball has in common with one of our team’s dedicated focuses: disaster recovery. So, what does this have to do with Disaster Recovery? Plenty. Disaster recovery can seem a bit slow-paced, too. Luckily, true disasters, the kind that take down a data center for more than a few hours, are rare. For most of us, disaster recovery planning is a matter of sitting around and discussing what might happen. There’s plenty of time to grab a hot dog, or at least refill your coffee. Unfortunately, planning for something that might happen but rarely does can lead to a certain level of complacency, and that can be dangerous. In professional baseball, the right fielder may not see as much action as the first baseman, but he knows he needs to keep his head in the game. A ball could come at any time. In IT, that ball might take the form of a crippling piece of malware that brings down your entire data center. Or, it might be a bit of ransomware that covers up a more nefarious plot to steal customer data. Whatever form a threat takes, IT leaders need to keep their head in the game and be ready. In disaster recovery, there are many aspects that need to be considered. These can be broken down into two strategies: Prevention/Detection and Recovery. Malware and viruses – In terms of prevention, this one is vital. The team members who cover this area are like the “shortstops” of IT. They need to be ready to move fast. Power quality and reliability – If you don’t have power, you don’t have a data center. UPS (uninterruptible power supply) systems help, but they typically supply just enough power to allow you to shut down your systems safely. They won’t do much to keep the business running if you lose power for an extended period. Disaster recovery infrastructure services can solve this. Less capital intense but meets the needs to recover. Physical security – Unless your business is located in a crime-ridden area, this one is easy to overlook, but not all threats are cyber-based. Data thieves can just as easily steal data, either by snagging an unsecured laptop or even walking off with a server. Internal threats – Not all threats are external, either. Uncomfortable as it may be, preventing downtime and data loss requires businesses to take a close look their own employees. Not all threats are malicious of course, but malicious attackers find it easy to sneak through the security gaps created by employees ignorant of the threat and how to prevent it. No plan is foolproof, and disasters happen. So, you also need to have a plan for what to do when they happen to you. Data recovery – Data backups are a necessity, of course. But too many organizations don’t give enough thought to how much data they can afford to lose. For example, if you back up data once a day, you could lose as much as a day’s worth of data when disaster strikes. Systems – If your systems go down, perhaps from power loss or a natural disaster in the community, you’ll need to make sure you have access to your data and the computing power you need to bring the business back online. Workgroup recovery –While you’re planning your recovery, make sure you consider your people, too. If something happens to your place of business, they may need a safe place to work, whether that’s from home or a secure, temporary facility. Recovery Plan – Finally, yearly testing to ensure all your disaster recovery planning is thorough and can be implemented correctly. In the event you need to jump into action (just like the right fielder tracking a line drive off the sluggers’ bat), you'll be relieved to have a well thought out, written and practiced course of action. Hurricane Warning: Is Your Business Ready? In baseball, one never knows how long a baseball game is going to last. Players battle it out until someone wins, with games lasting until the wee hours of the morning. The longest game in MLB history happened in 1984 between the Milwaukee Brewers and Chicago White Sox — 25 innings lasting eight hours and six minutes. Disaster recovery requires this same level of stamina. It also requires more than an annual planning session or a periodic review of plans. True disasters are uncommon, thankfully, but for your business to survive, your IT leaders need to keep their eye on the ball at all times. 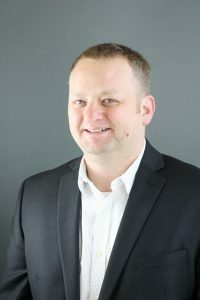 Ben Mitten is General Manager and VP at TierPoint where he leads business operations and client engagement throughout the Pennsylvania region. Ben graduated from Pennsylvania State University in Architectural Engineering and spent 9 years in consulting engineering focusing on electrical design and construction for many types of projects including data centers, prior to joining TierPoint in 2013 as a facility engineer. His facility background coupled with his leadership abilities and business savvy earned him the role of GM/VP in Pennsylvania where he is currently responsible for all aspects of the TierPoint Pennsylvania portfolio.